A big problem with messenger chatbots is the fact that it is hard to discover them. So the best marketing is word of mouth from guess who… your loyal subscribers! There’s a hidden feature that ManyChat does not do a good job promoting. 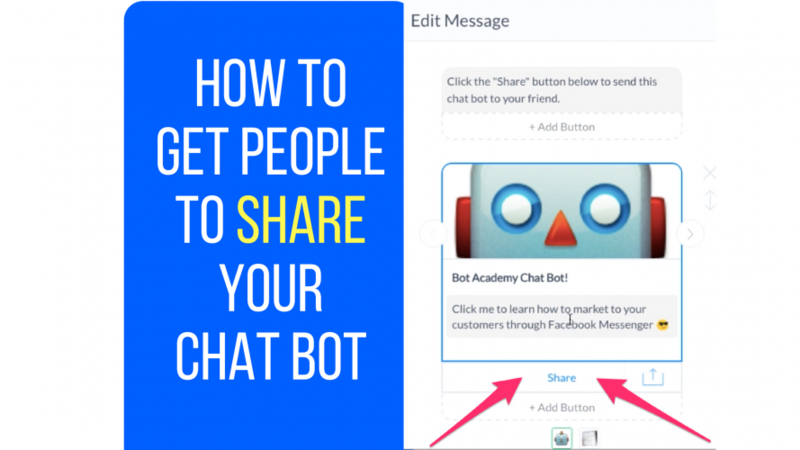 This share option will make it 10x easier for your subscribers to spread the word about your awesome chatbot.